North Pole, Essex County, NY. 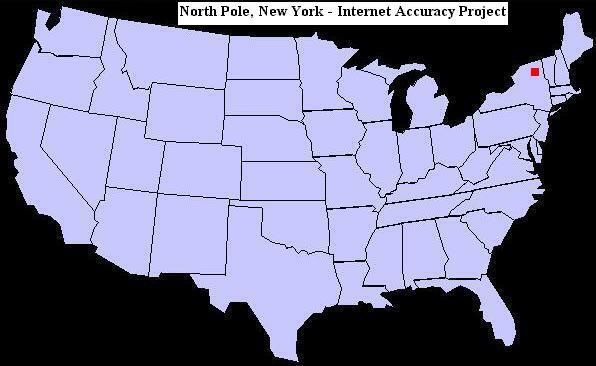 North Pole, New York is located in Essex County, in the northeast corner of the state. It's situated on the west end of Wilmington, 12 miles northeast of Lake Placid and about 45 miles south of the Canadian border. Time Zone: North Pole, New York is in the Eastern Time Zone. Skiing, hiking, mountain biking, and rafting are just a few of the many outdoor recreational opportunities that abound in the area. Designed by artist Arto Monaco, Santa's Workshop is one of the oldest theme parks in the United States. Monaco later designed and built his own nearby amusement park, Land of Makebelieve, in Upper Jay, New York. It opened in 1954, and remained a popular attraction until repeated ice floods forced the theme park to close in 1979. In addition to Santa's Workshop and the fondly-remembered Land of Makebelieve, Monaco also helped design Old McDonald's Farm, in nearby Lake Placid. Julian Reiss established Santa's Workshop in the late 1940s, in the Adirondack Mountains of Upstate New York. The Christmas-themed family amusement park with its rides, petting zoo, shows and Christmas shops had been the centerpiece of North Pole, New York, before the tiny hamlet dwindled to just a few buildings. Reiss was known not only for the inventive Santa's Workshop, but also his Operation Toylift. The charitable effort has helped spread the Christmas spirit by delivering toys and gifts to underprivileged children in the area. After the U.S. Postal Service awarded North Pole, New York "Rural Postal Station" status in the mid-1950s, and later its own ZIP code (12946), the tiny North Pole post office became a popular and apropos location to mail holiday greetings. Visit our page of U.S. towns with Christmas or holiday season names and our more extensive list of other odd town names in the United States.